Potentiometer for manual control of load power when required. May be used with 3-line control or 2-line control of a 3-phase load. 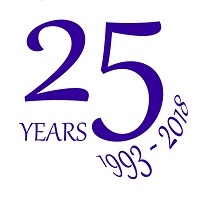 Advanced patented (UK patent Number 2403855B) single cycle control algorithm for use with 3-wire load connection, minimises harmonics, and eliminates DC components. Maintains accurate load balance when used with 2-line control. 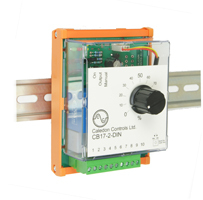 This controller is available in versions for panel mounting or mounting on T35 DIN rail. It is primarily intended for the control of 3-phase loads in single cycle burst fire mode. It is designed to accept a standard analogue control signal from a temperature controller and its output is a standard logic signal. The output may be used with solid state relays, thyristor stacks which accept a 'logic' input signal, or in conjunction with associated trigger modules to drive thyristor gates directly. In all cases the firing circuit must be designed for zero voltage switch on. The controller may also be used to control single phase loads, and can be operated in standard burst fire mode, in which case the cycle time may be adjusted by means of a potentiometer (accessible at the rear of the panel mounted instrument). This controller is widely used in process control applications and in the petrochemical industry. It is also useful for controlling infra-red heating loads, and loads which use silicon carbide elements. Single cycle burst fire control is used when minimum fluctuation in heater element temperature between bursts is required, without the high harmonic distortion associated with phase angle control; eg for near infrared heating, or when using silicon carbide hot rods. It is also useful if a system is powered by a gen-set, when standard burst fire control can result in speed instability. To interface between an analogue control signal from a temperature controller and logic input thyristor stacks or solid state relays. To manually control the output power of logic input thyristor stacks or solid state relays, using burst fire control or single cycle burst fire control. To provide an auto / manual function in a temperature control loop, with manual control by means of the front panel potentiometer. 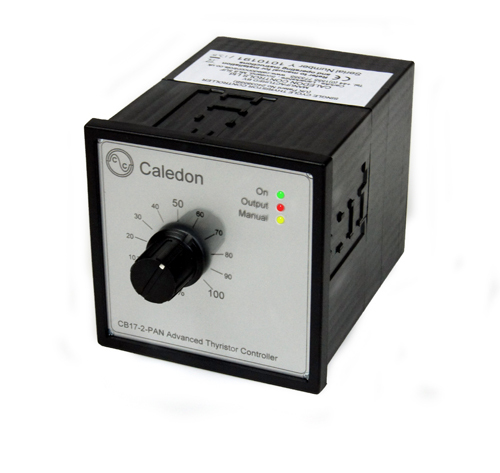 To manually control the power delivered by the thyristors. 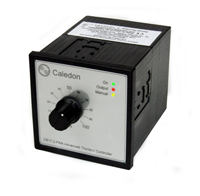 To provide a simple means of limiting the maximum power, when used in conjunction with a temperature controller. To proportion the analogue input signal from a temperature controller. 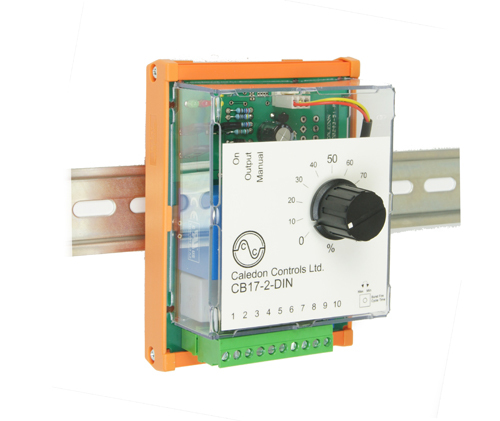 This feature can be used to balance the heat input to multiple heating zones controlled by one temperature controller. (One instrument required for each zone).